My friend over at Suey’s Books is participating in a 30 Days of Books challenge where they have different writing prompts about books for 30 Days. With my upcoming trip I won’t be able to do all of them but I thought I would do a few. The first one asks 3 questions about books. What is a character in a book I relate to most? 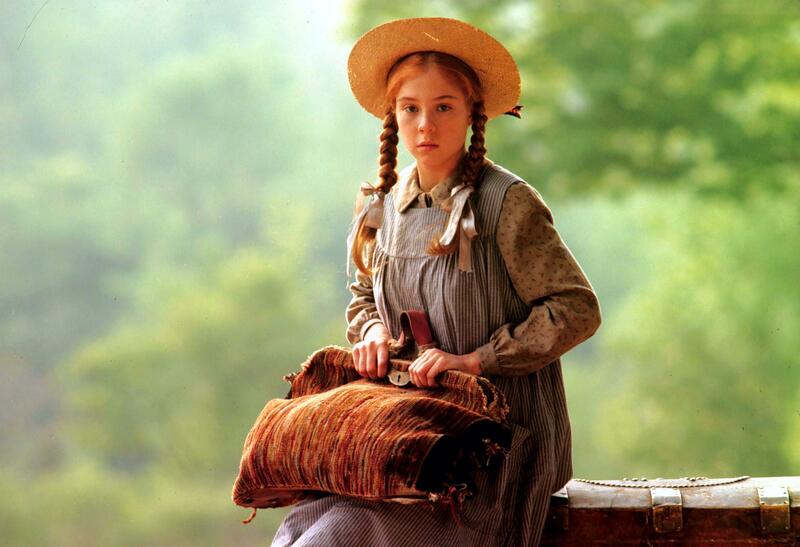 I would say Anne of Green Gables. She is perhaps a younger version of myself but in many ways I can relate to her. She’s passionate, imaginative, extremely loyal, positive and has a bit of a temper. I’ve always related to her bosom friendships and her fierce love for people. She also knows how to hold a grudge which can be a weakness of mine as well. Plus, she would definitely be a blogger in 2016! A book that changed my opinion about something? 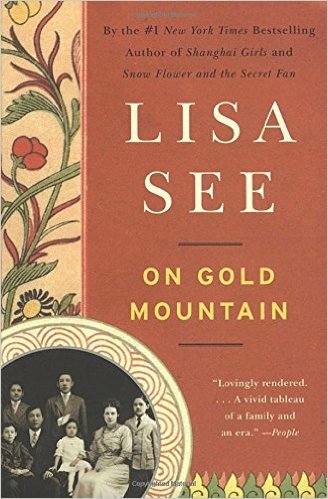 Lisa See’s On Gold Mountain really made me think about my views on immigration in a new way. She manages to make a telling of the 100 years of her family ancestors gripping and interesting. What was particularly compelling is to see the way Chinese immigrants were treated and to listen to all the rhetoric over the years. I don’t know anyone that would see Chinese Americans as a horrible burden and yet the same rhetoric that is used against immigrants today was used against them. It also has something to say about interracial marriage and the way we look at race today (Lisa has blonde hair and blue eyes. You’d never guess she is of Chinese descent). I’m not a big fan of twists as they usually leave me feeling manipulated rather than intrigued but I guess the last Harry Potter book had a great twist. 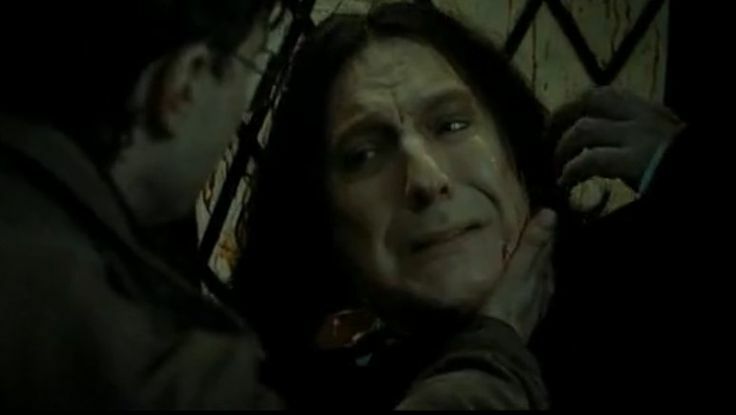 I would never have guessed the character arc of Snape and what Rowling would do with him, transitioning him in one book from horrible villain to underdog hero. It’s pretty remarkable when you think about it and it says something to her writing that I bought it. I find Anne very relate-able too! I’m still very close to my own immigrant roots, because I’m only 2 1/2 generations American: my grandfathers were born in France and Poland, and I also knew two of my immigrant French great-grandparents. Most of my immigrant ancestors were very glad to put the Old Country behind them and become Americans, but tragedy struck one branch of the family, and the American Dream did not happen for them. That’s really cool. Mine go back many generations on all sides. It was cool to read Lisa’s book and get that immigrant perspective but also to hear how similar the rhetoric is with the anti-immigration rhetoric today. It was eye opening for me. What would be your answer to these questions? Most relatable character: too many to list. If novels have been well written, I can easily suspend disbelief and get into the characters. Changed opinion: I’d have to think about that one for a while. Surprising plot twists or endings: Lots of candidates here, also, but these are a few. DuMaurier’s “Rebecca” and “The Scapegoat” have interesting twists. Rinehart’s “The Wall” almost makes you wonder if you, too, might not be an accessory to the murders. And Sabatini’s “Captain Blood” has a great ending. Shutter Island had an interesting twist ending, but my dad after initially refusing to accept it at all, spent a lot of time ranting about how it didn’t make sense and cheated everything the audience had invested in just for the sake of reversing expectations with the least likely scenario. Whatever you think, it basically changes the book from psychological thriller to romantic tragedy. I’ve heard that’s a good twist and that it is a Scorsese a little cleaner than his hard R films.